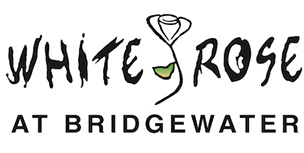 As owners of White Rose Bar & Grill, Rockfish Public House, and White Rose at Bridgewater in York, Pennsylvania, White Rose Restaurant Group's team of culinary professionals delivers guests an escape from the ordinary dining experience every day. Please visit our restaurant websites below. understand that we are serious about creating a productive working environment for our staff and maintaining the highest levels of quality, service and attention for our guests. We believe that good enough isn’t. We believe in doing business in a professional and orderly manner. We believe that only a happy and professional staff can give the level of personal service we demand. We believe in the ongoing training and development of our staff and see it as a worthy investment in the future of the company. We believe in providing legendary service – the unique and powerful sort of personal care and attention that our guests tell stories about. We believe that everyone is capable of being an A+ player.